2013 50th Anniversary Ads — O'Day Mariner #1922 "Orion"
A big event was planned to celebrate the 50th anniversary of the building of the O'Day Mariner, and these ads were created by me and published in WindCheck Magazine as well as our own Notice to Mariners newsletter. 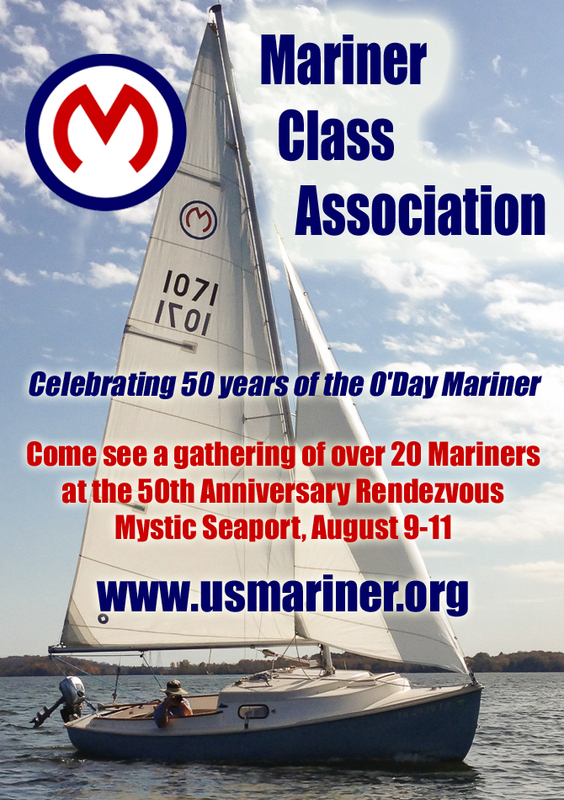 It was an absolutely spectacular event with 18 O'Day Mariners and nearly 60 sailors. Lots of pictures were taken, and I wrote an after-action report which was published in several magazines. I'll never forget that Rendezvous!